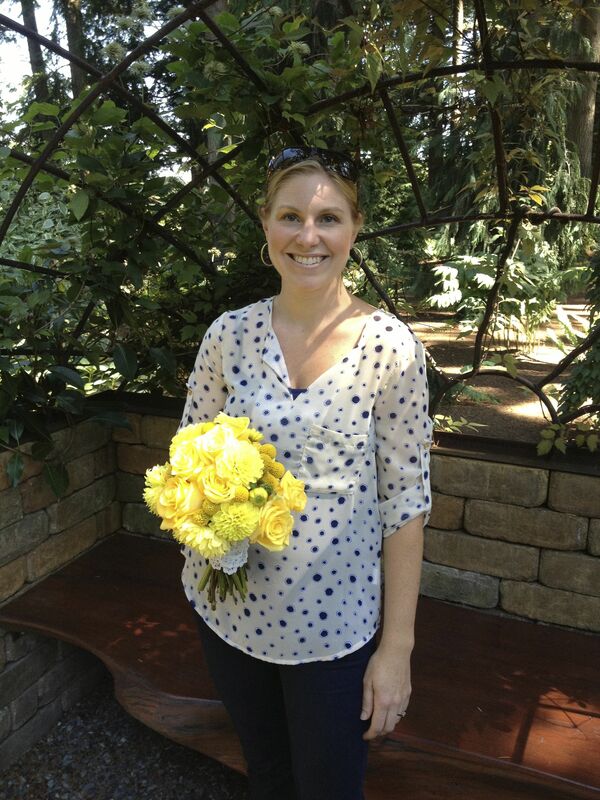 Belle’Ham Weddings & Events is offering a special to all 2014 Evergreen Gardens booked couples. 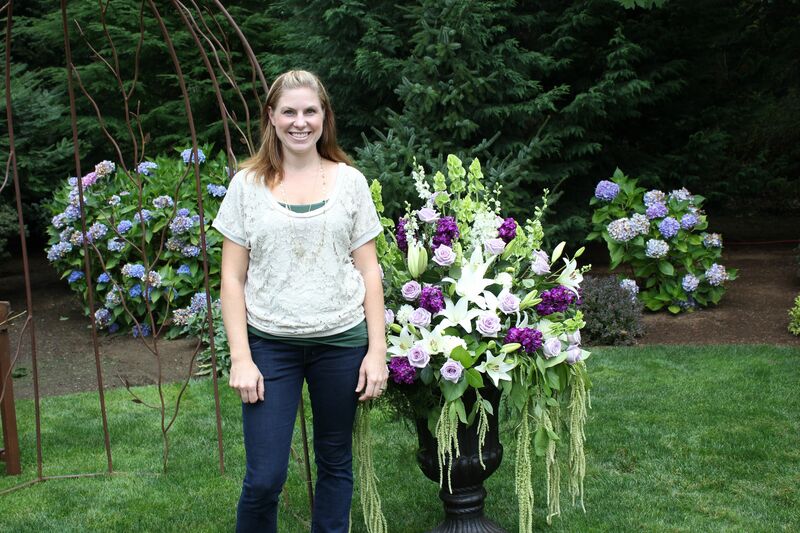 After booking, you’re eligible for 20% off wedding planning services with Jessica and Patience at Belle’Ham. Month-of wedding planning packages begin at $1400 – this offer good through the end of March, 2014. Don’t let the cool weather scare you off. 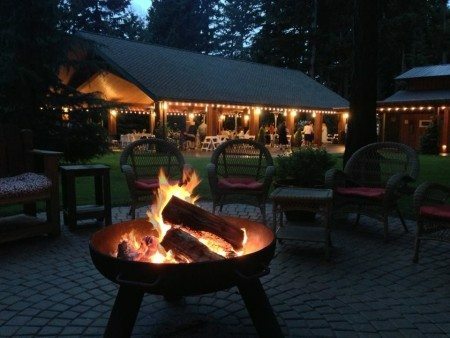 The cooler weather just makes our cozy campfire more inviting! Everyone is loving the smore’s and conversation around the campfire these nights. It’s a great place to catch up with your friends and meet new ones. We’ve seen a new twist on catering this summer at Evergreen Gardens. 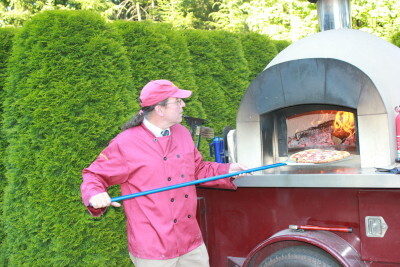 Gusto Wood Fired Pizza Catering brought their unique mobile, wood fired oven out and blew everyone away with their Neapolitan-style pizzas. They make their own sauce, mix their own cheeses and make their dough from locally milled, organic whole wheat and unbleached white flour. They buy local organic toppings when available. Yum! And the good news? We hear they’re coming back soon! Check them out on Saturdays at the Bellingham Farmers’ Market or on Facebook. July was a great month with beautiful weather and beautiful brides. It was great to see everyone having so much fun and enjoying themselves. Salina and Daniel were no exception and we were delighted to be a part of their special day. 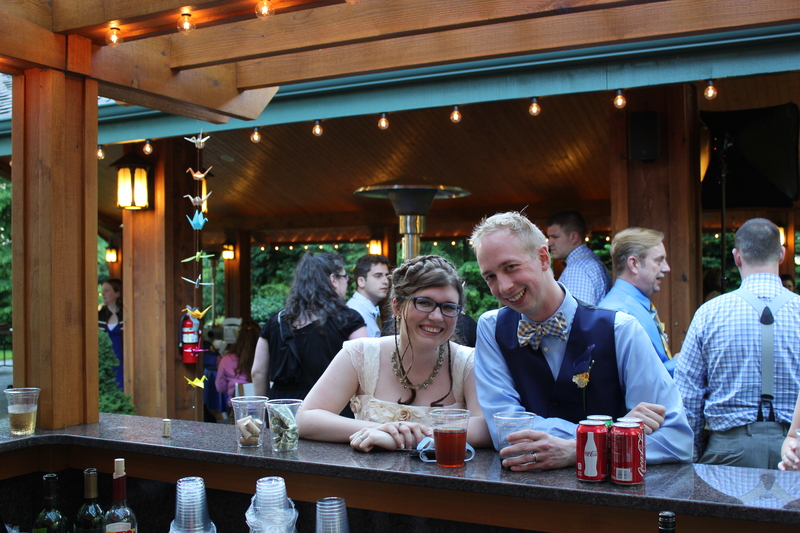 A thousand cranes and a wedding! Emilie and Jakob were recently married at Evergreen Gardens and brought a thousand birds with them! 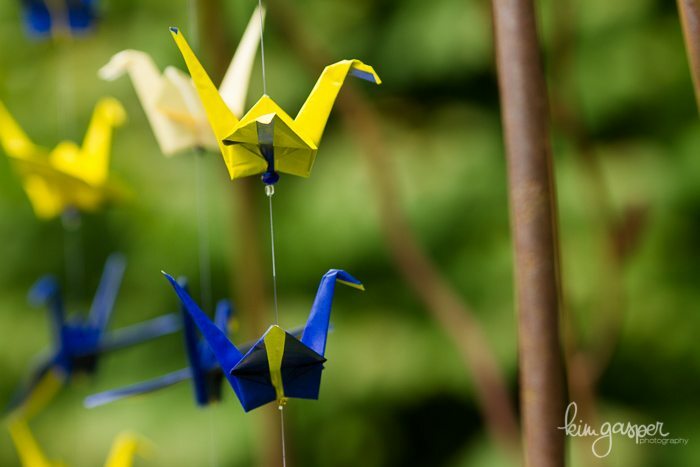 They and their friends made beautiful paper origami birds of every color and design and decorated the gardens and pavilion with them. Everyone enjoyed seeing all the variations and the birds looked right at home surrounded by all the trees and flowers. What a creative couple. 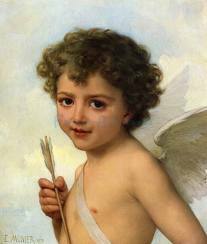 Valentine’s Day is upon us and Cupid has his quiver full of diamond rings! For those lucky brides that receive a visit by cupid, we want you to know we still have a few openings for this summer, but they are going fast! Contact us as soon as possible to come out for a tour. 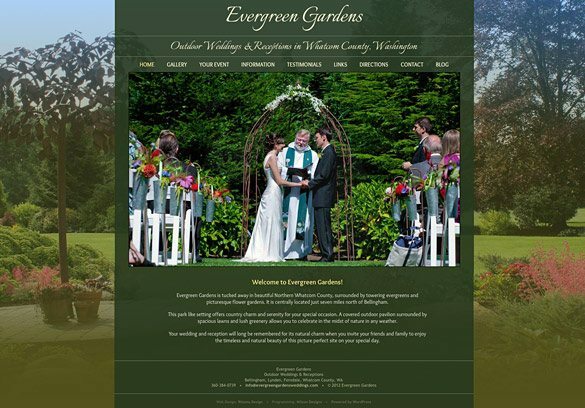 Evergreen Gardens Weddings New Website! Welcome to our recently redesigned website! 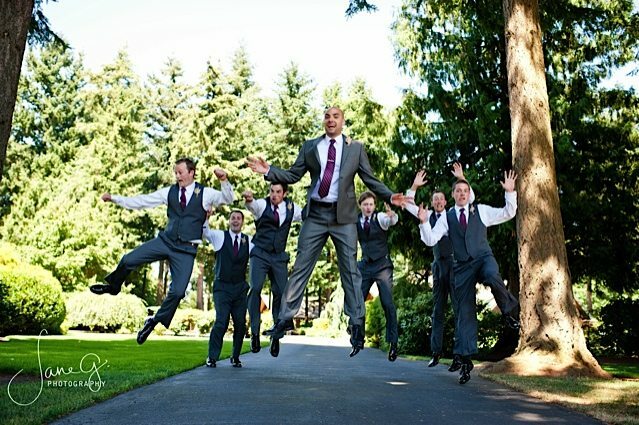 We’ve had an incredibly busy summer with many weddings at Evergreen Gardens Weddings & Receptions and in the middle of it all we managed to get the new site created, no small feat! 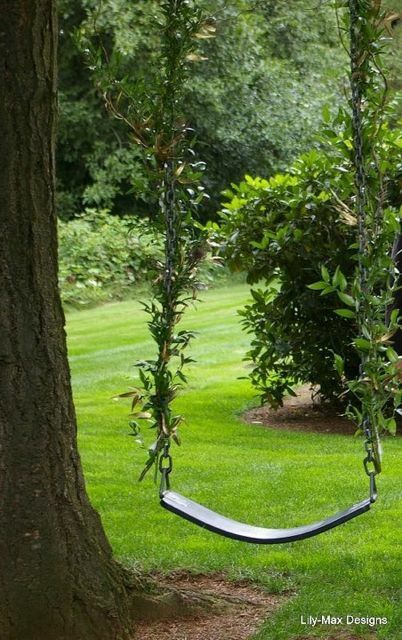 Our site now makes it easier for you to find out more about our venue; the beauty of the grounds, the services offered, and other important information for your special day. Please take a few moments to visit the Gallery page and scroll through some of the gorgeous images there. 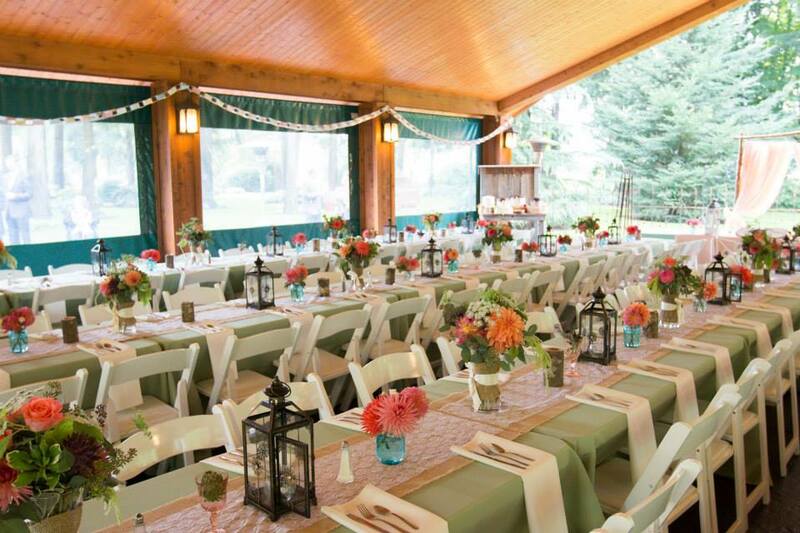 Your Event page has details about the different areas Evergreen offers for your ceremony and reception, and be sure to read some of the glowing testimonials from our past clients on the Testimonial Page. You can also SIGN UP (over there on the right sidebar >> ) for our blog posts and you’ll receive new posts and pictures on recent weddings delivered to your inbox! Be sure and click on the social media links on the pages and share our venue with your friends on Facebook and Twitter. Pin your favorite images on Pinterest and even email a special page link to a friend. We’d appreciate any sharing you feel to do! 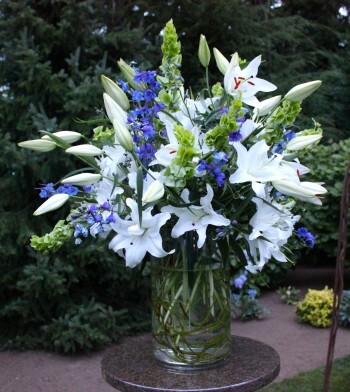 Thanks so much for visiting and please contact us to talk about having your wedding here.